It’s all coming together too quickly. The High School Mountain Bike Races and my position as a Coach for my team. My training to ride with the fastest of my group. Training to run has been put aside for the summer in previous years. What about this year? 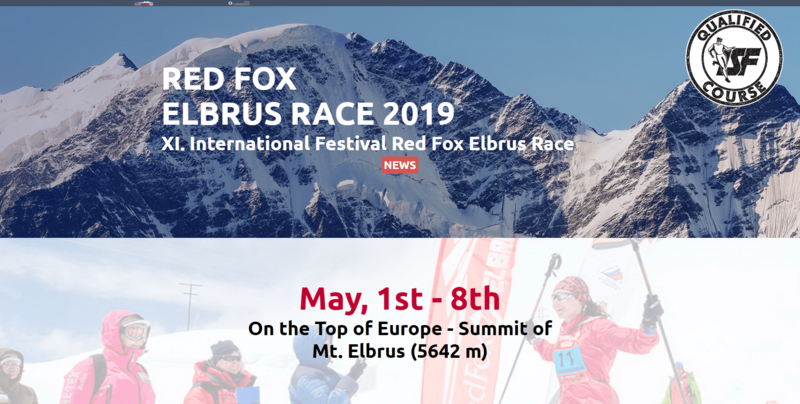 What about the Red Fox Elbrus Race in May 2019? Sitting in my car at work thinking out loud about Elbrus Race. I found the original impetus for this Elbrus Race insanity – the Red Fox Elbrus Race. The website is somewhat klunky. More than somewhat, actually. I might have to keep my eyes open on it for when they announce the opening of registration for next May. The first week of May, surrounded by Russian Holidays. That might be interesting to check into. In case you missed the story, I was at the Barrels Huts coming down from an unsuccessful climb of Elbrus when we had to work around a few dozen super fit fast dudes getting off the lifts hauling crates and duffels of gear. They were all sporting logos from Red Fox and stating Elbrus Race. I dug around and found the next Elbrus Race, the next August and that began the “Rocky” phase of my training. Super vertical training mode. This began the fitness plan that eventually became “Summit Success: Training for Hiking, Mountaineering, and Peak Bagging” and has now evolved into “Rucking Simple Treadmill Training” and the now FREE online training program “Hikercize” which for the past four years has been $50 or more per year. Great deal, if you ask me. In the video below, I discuss that briefly, mention my current state of majorly tired, riding with the Team. Pre-riding race courses for the late summer race series, some of my duties as a high school mountain biking coach and maybe another thing or two. It’s like one big game of “what-if” and you know the odds are against you. Elbrus Race 2018? In only six weeks? With enough time to get a Russian Visa? By Mail? Dang I’m a glutton for punishment. Running in Elbrus Race Yet Again? Elbrus Race 2018? Skyrunning? For Real? Well I just had a really dumb idea. I haven’t run in months. My duties as a NICA Certified Level Three High School Mountain Bike Coach have taken quite a leap up from last year. I’ve had to train hard to keep up with my more advanced racing group, which is much much faster than last year by a large margin. 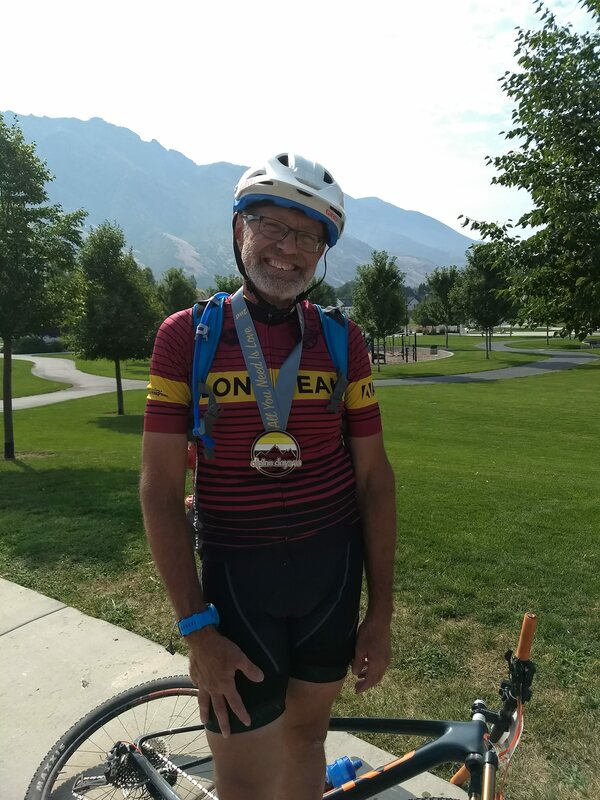 I’ve been riding 60+ mile weeks, a mix of indoor trainer rides, with outdoor MTB rides. Much of that is faster and more technical than I am really up for, so I’m injured a lot. Like right now most of the scabs and bruises on my legs and elbows are pretty much healed. I twisted my ankle pretty badly in a race last Saturday, Aug 4th. Enough I couldn’t bear weight or push off with my toes for several days. I decided to do this little test. Could I go up Giddy-Up and Green Monster and descend in one go? If the answer is no, then good enough. I would have no real chance to get in enough serious training to make it happen. I would let it go for next year. I still might have to if it turns out I can’t work, and coach, and train and stay fit and unbroken enough. Can I pull off a Russian Visa in the time given? Can I make it work even though they’ve closed the Seattle Visa Center, where I usually go? If I have to use the Mail-In service? Can I get flights that line up with the start and finish times of the Elbrus Package associated with the race? Can I skip one High School Race this year? Or do I need to figure a way to fly around it?